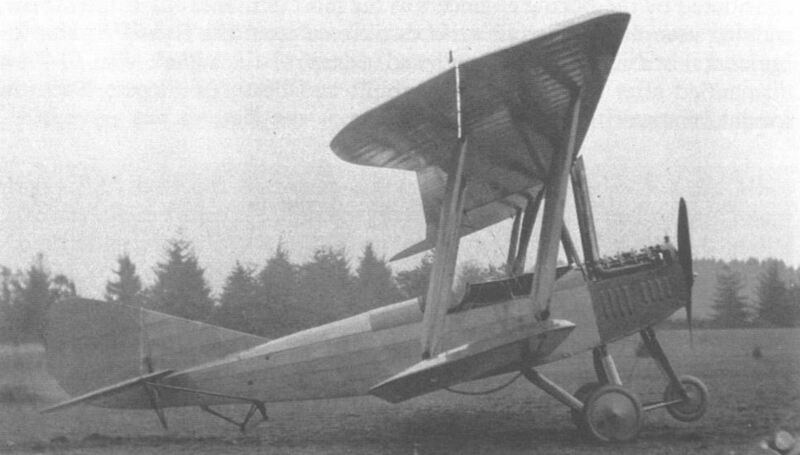 The first De Havilland 4M-1, a rebuilt wartime DH-4B using the Boeing-developed arc welding process for an entirely new steel tube fuselage. A Boeing-built DH-4M-1T dual control trainer in service at Brooks Field, Texas, in July 1929. Note Boeing-designed US Army rudder stripes adopted in 1926 and Boeing designation on fuselage. 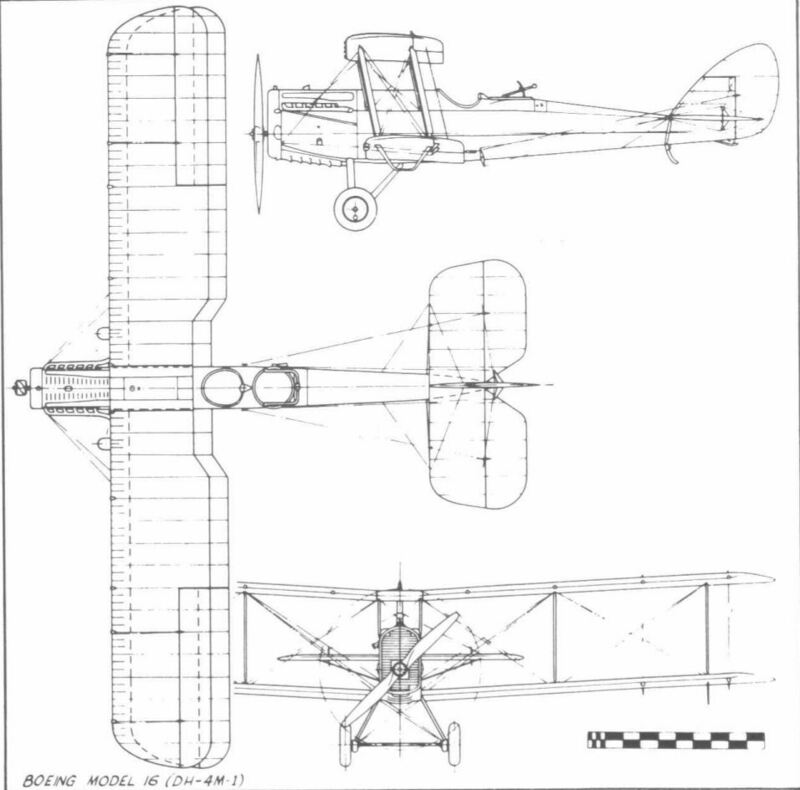 Boeing-built DH-4M-1s delivered to US Marines were given naval designation of O2B-1. 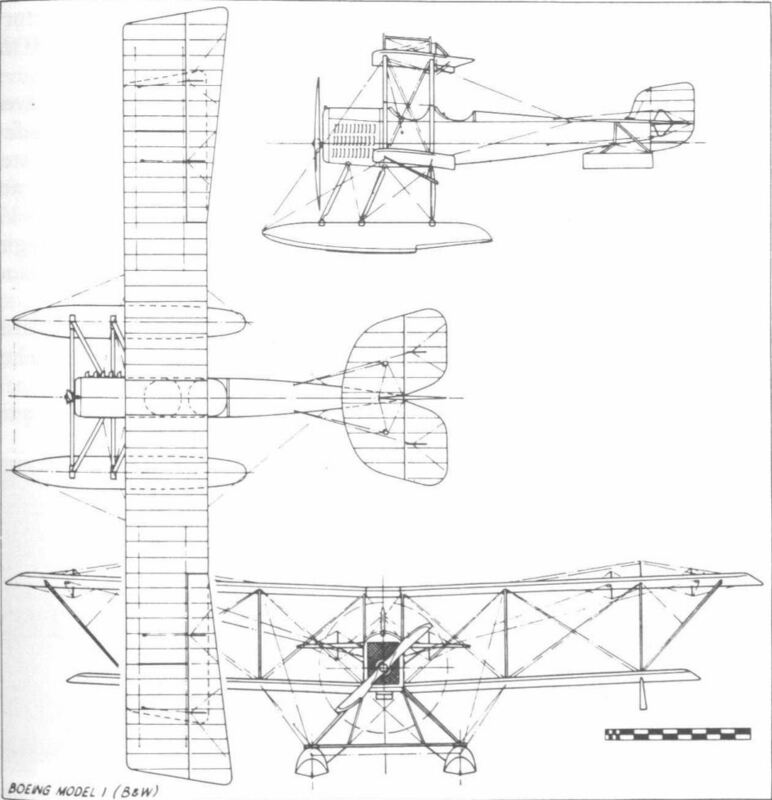 Navy colouring after 1920 was all silver with yellow top to upper wing and tail. Marine Corps O2B-2 with the rounded turtledeck that identified the -2 variant. 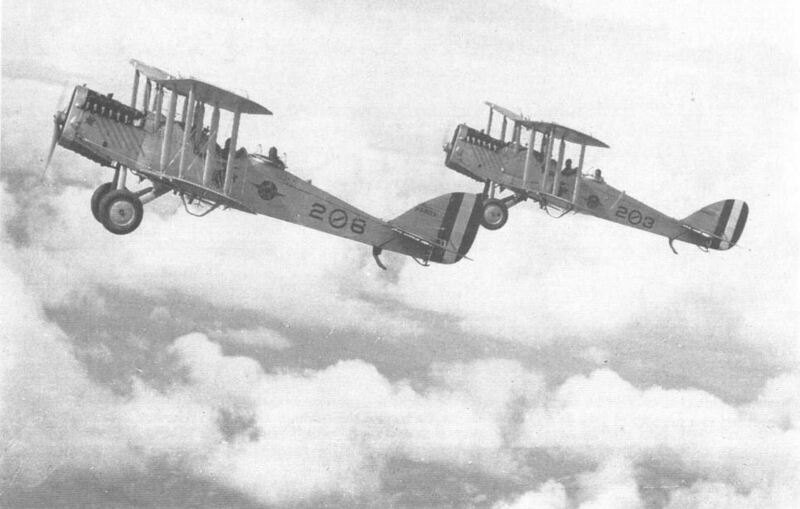 The Loening COA-1 wings shown were fitted to a number of DH-4s and O2Bs without affecting their designations. 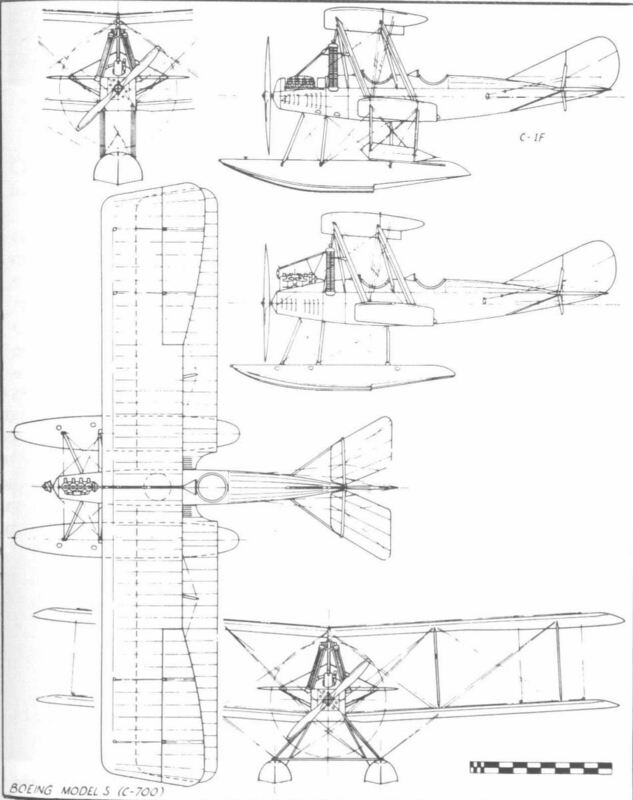 Boeing Model 2, the C-4 seaplane, with small vertical radiators and parallel centre section structs. The apparent dark colouring is varnish applied over clear-doped fabric. 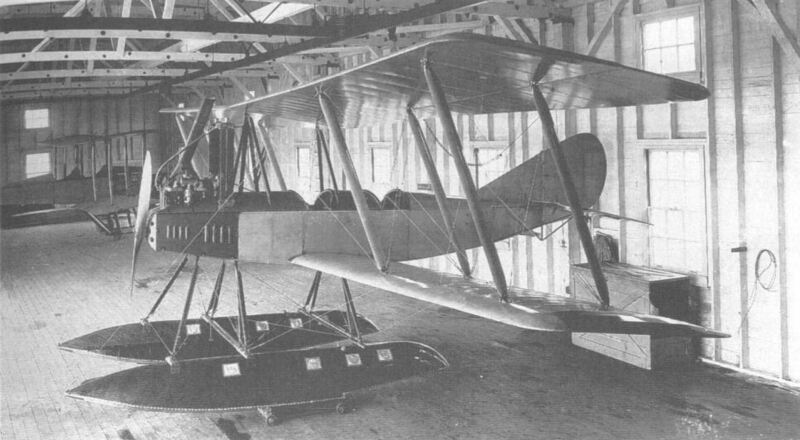 One of the three Model 3 seaplanes fully assembled inside the original factory building, which also functioned as a hangar. 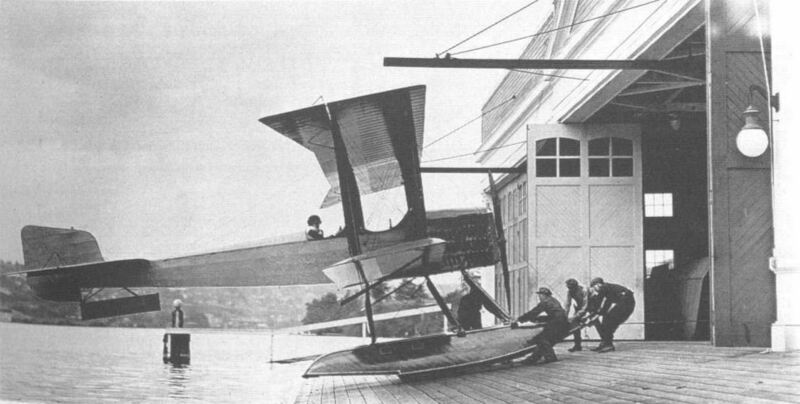 In the background is Mr Boeing's original Martin seaplane in the process of coversion to a landplane. 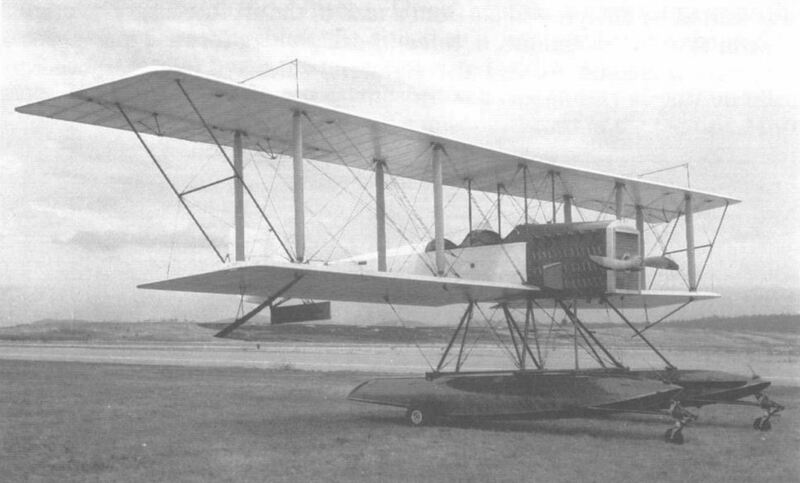 The C-1F seaplane, a single-float version of the standard C-650-699 (Model 5) with Curtiss OXX-6 engine. Standard Navy colouring in 1918 was over-all stone grey. The C-700, a private machine built for William Boeing's use at the end of Navy C-650-699 production and duplicating the Navy trainers even to the use of military markings. 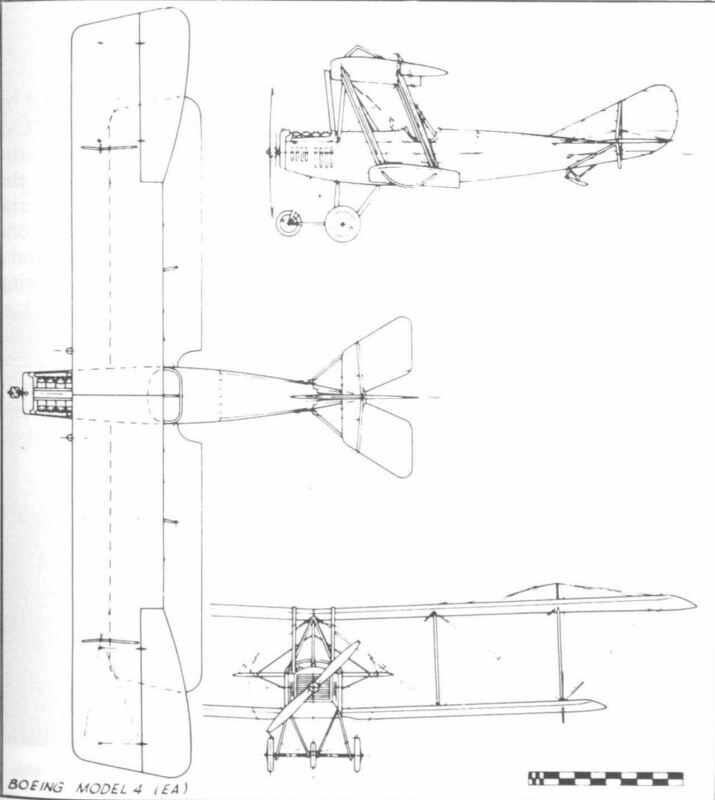 Note reversed order of rudder stripes from 1917. 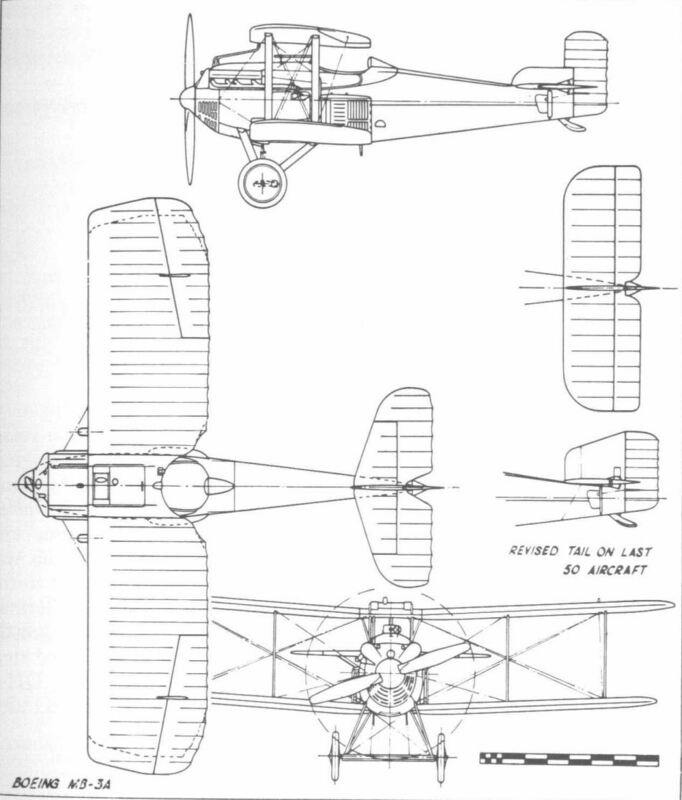 The C-700 modified to CL-4S by installation of improved Hall-Scott L-4 engine and reduction of aileron size to straighten trailing edge of wing. 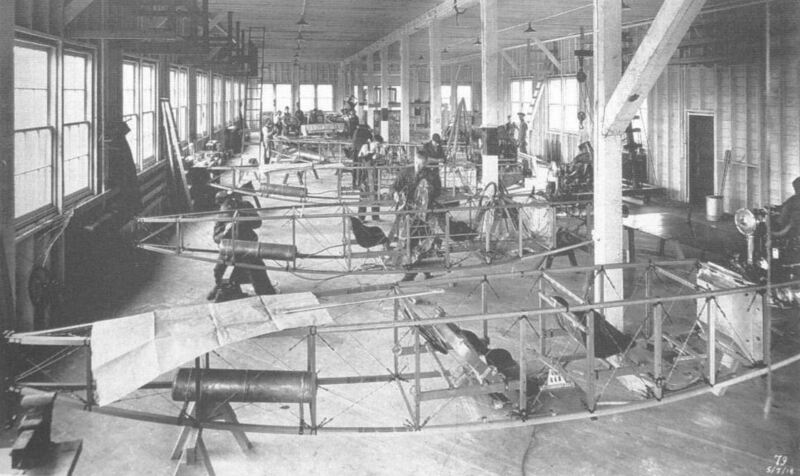 Assembly line of Model C fuselages. The cylindrical tanks in the rear held compressed air for the engine self-starters. A war-surplus Boeing C converted to a landplane by a private owner. 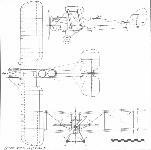 The unreliable 100 hp Hall-Scott A-7A engine was replaced by a dependable 150 hp Wright-Hispano. 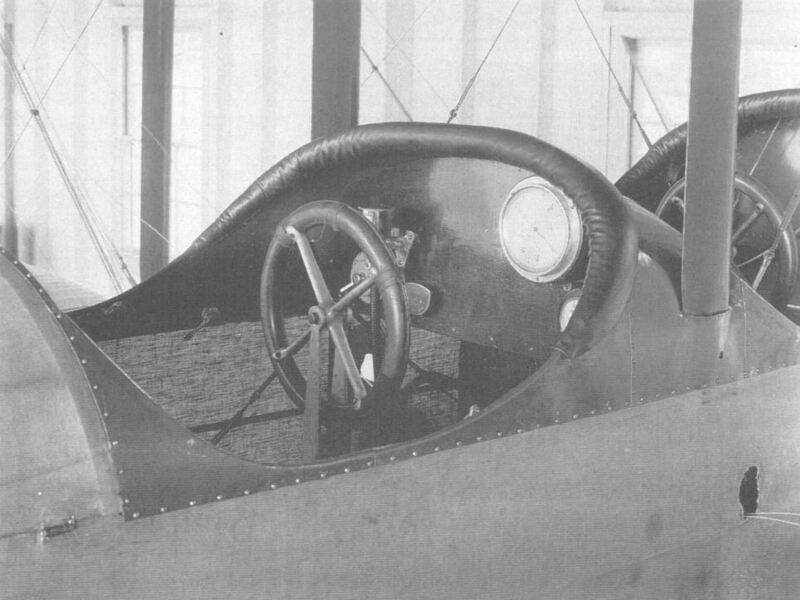 Note the two-seat front cockpit. Uncovered forward fuselage of a Boeing Model C Navy trainer, showing the rear-cockpit instrumentation and the heavy laminated wood yoke of the 'Dep' control system. 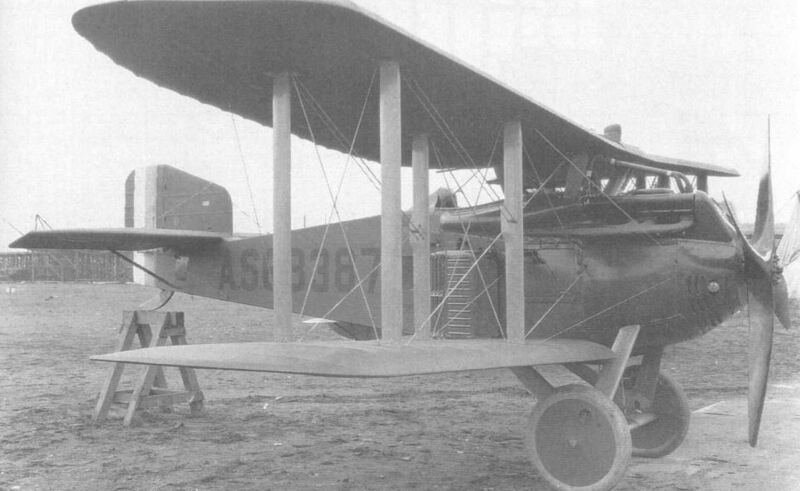 The first MB-3A, built after Boeing won industry-wide bidding for manufacture of 200 improved versions of WW-I Thomas-Morse pursuit design. MB-3A with new redesigned tail surfaces as installed on the last 50 machines. Colouring of Army combat aircraft from 1918 to 1927 was khaki-brown (olive drab) all over. 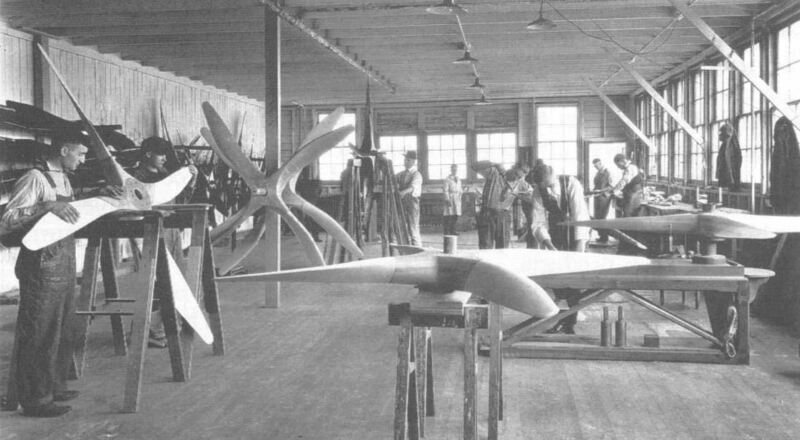 Boeing designed and built its own propellers in the early 1920s. These four-bladers are for the MB-3A pursuit aircraft. 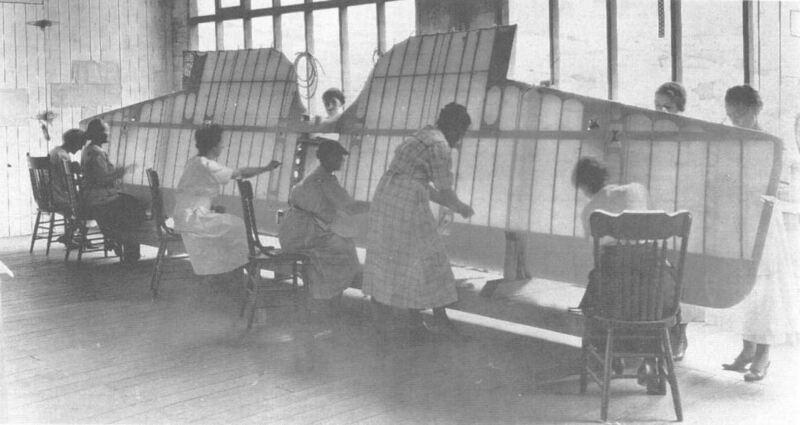 Women employees stitching the upper wing fabric of an MB-3A, circa 1922. 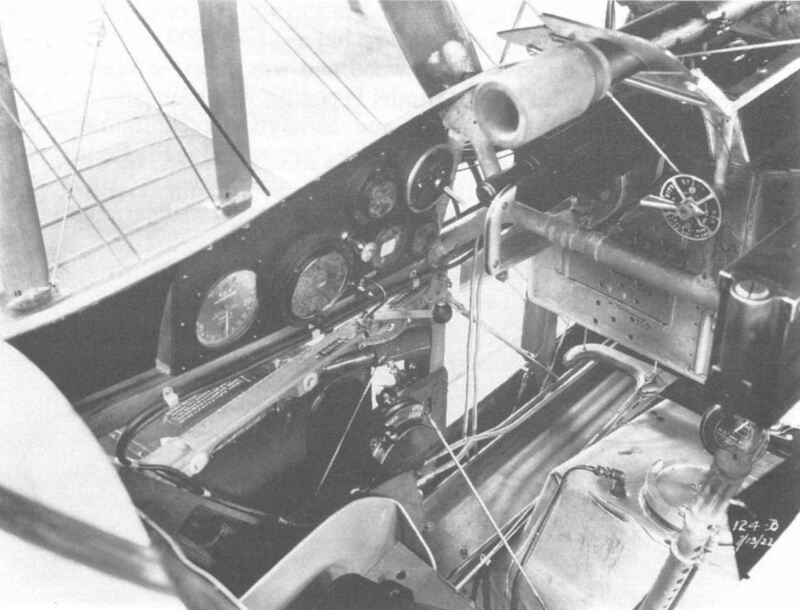 The MB-3A did not have a conventional instrument panel. Instead, the standard instruments were installed on the sides of the cockpit. The first Boeing-designed aeroplane, the B & W of 1916, floating by the broad sloping ramp of the original factory-hangar. The B & W being brought ashore. The replica B & W taking off from Lake Washington. The replica B & W made its first flight on May 25, 1966. For demonstrations in Wichita, Kansas, and at air shows away from Seattle, the B & W 1A replica was fitted with wheels and brakes under the pontoons. These did not make the replica amphibious. The front and rear cockpits of the first B & W. Note sparse instrumentation. Curtiss HS-2L flying-boat, the first of several non-Boeing designs that the company was to build between 1918 and 1927. 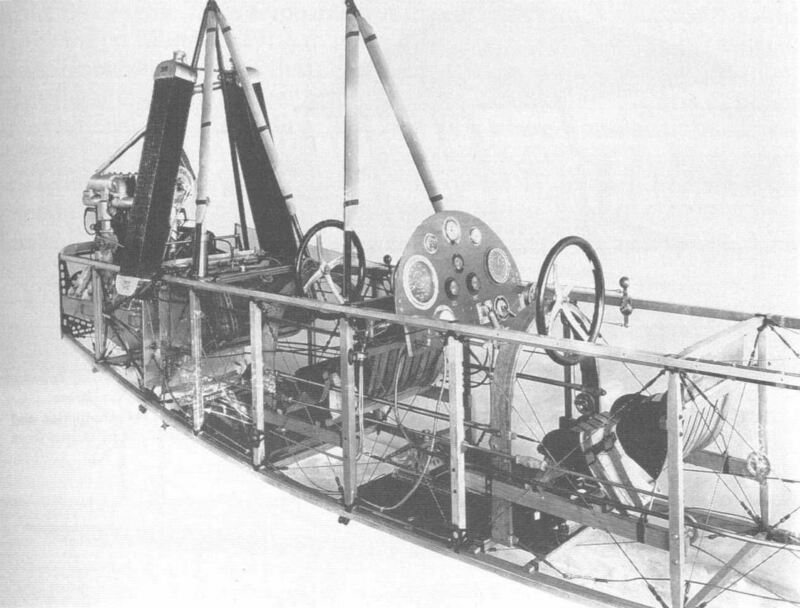 Model 4, the EA landplane. The undercarriage was not a true tricycle; the extra wheel was to prevent nose-overs by student pilots.